Earn $44.62 in Rewards credit (4462 points) What's This? 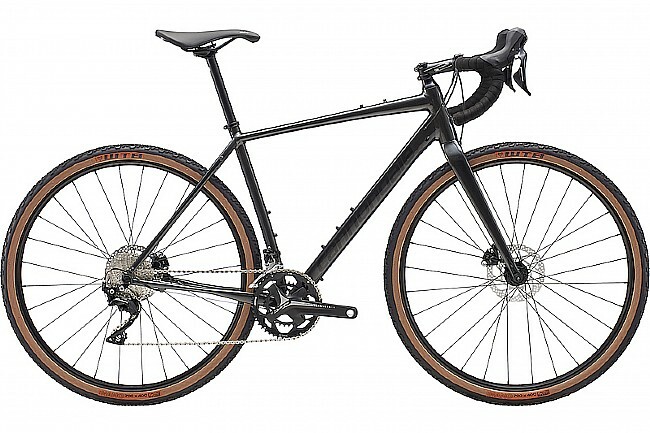 With its high-volume tires, confident rider position and sporty handling, Cannondale's 2019 Topstone 105 Gravel Bike is ready to take on big miles on backroads or provide some comfortable cushion a choppy work commute. Frame: SmartForm C2 Alloy, tapered headtube. Fork: Topstone Disc, Full Carbon, 1-1/4" to 1-1/8" tapered steerer, 55mm offset. Front Derailleur: Shimano 105, 31.8 clamp. Rear Derailleur: Shimano 105 7000 GS. Crankset: FSA Omega ME Alloy, 46/30. Brakeset: Shimano 105 7070 hydro disc, 160/160mm RT56 rotors. Seatpost: Cannondale C3, 6061 Alloy, 27.2 x 350mm. Wheelset: WTB ST i23 TCS, 28h, tubeless ready. Rims: WTB ST i23 TCS, 28h, tubeless ready. Hubs: Formula RX-512 front, RX-142 rear.